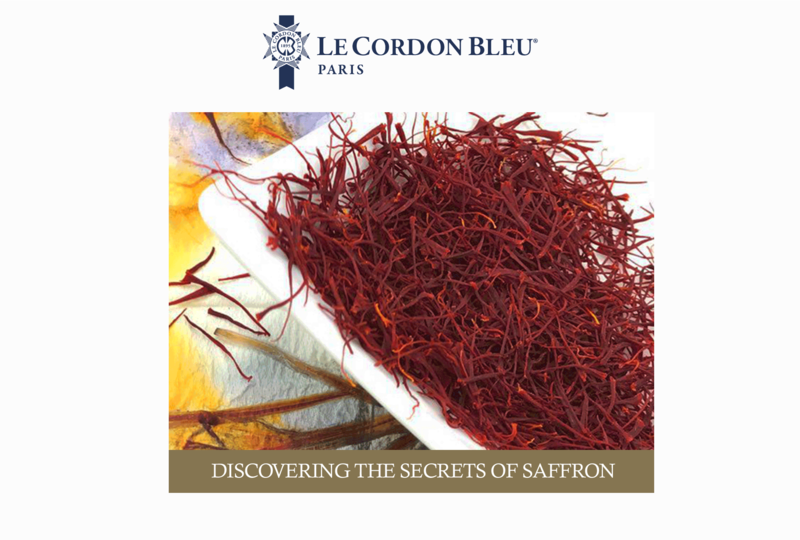 On 29 November 2018, at Le Cordon Bleu Paris institute, come and discover the secrets of saffron: its history, origin, qualities and organoleptic properties. Learn to recognize good saffron and how to associate it in your culinary preparations. Azerou Faritheh & Dario Mosses of Safran Gourmet will host a conference and fully explore this particular spice. Chef Christian Moine, Le Cordon Bleu Chef Instructor will reveal the subtle flavours of saffron in his risotto, specially designed for this demonstration. The culture of saffron, as delicate as it is laborious, requires in-depth expertise from the plantation of the crocus to the maturing of the threads. Originally from the Middle East, the golden red spice has taken on French colours in the past years thanks to the increasing commitment of producers who defend its quality in the face of fraudulent markets.